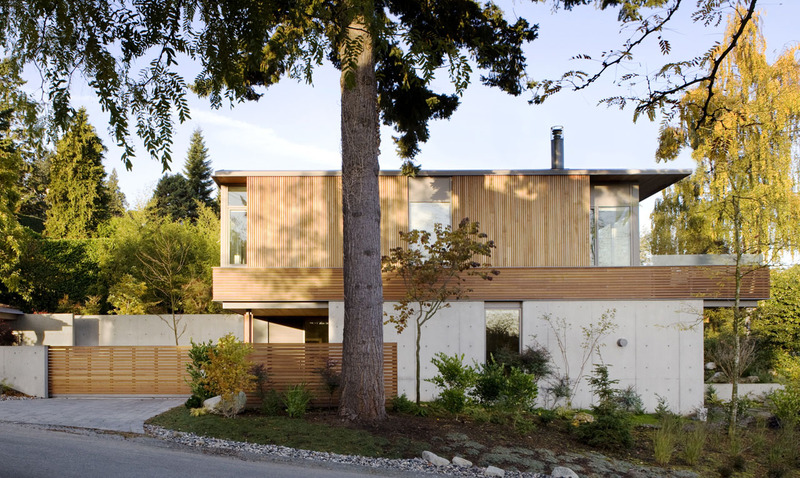 The house was planned to provide privacy for a single family within a busy urban waterfront setting in Vancouver. 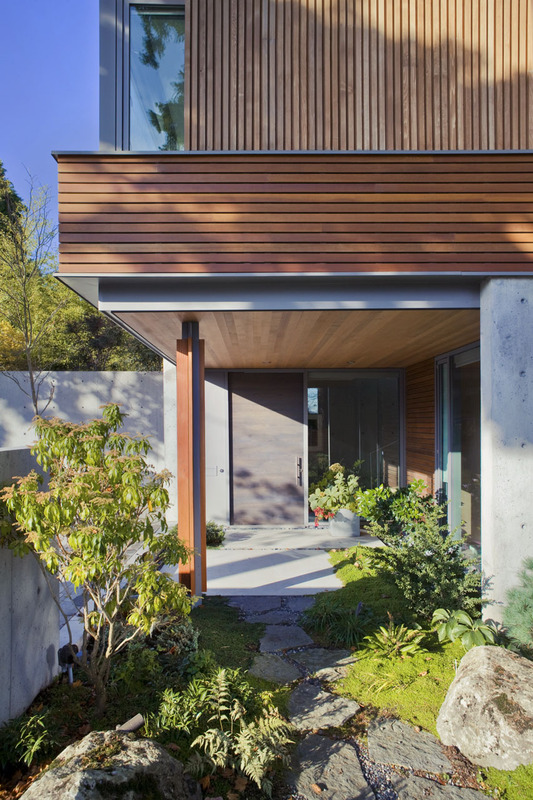 Landscaping and grading are used to frame views of the water and North Shore Mountains beyond while at the same time defining access and maintaining informal connections to the surroundings on the site. 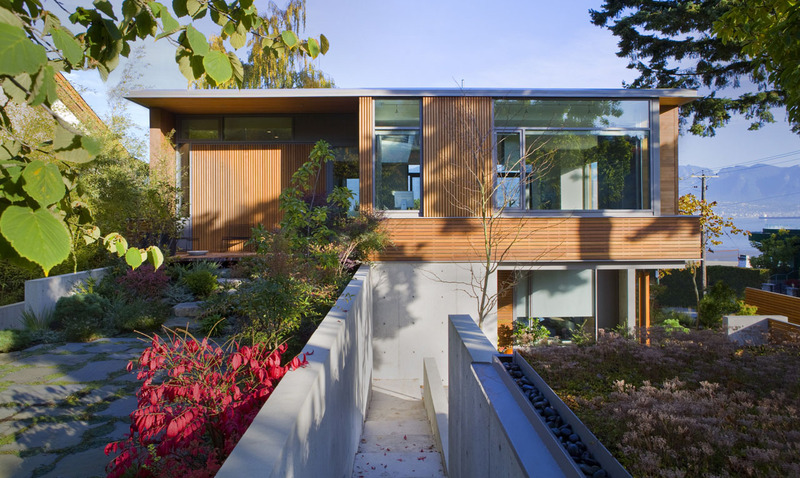 By contrast, spaces on the lower level are organized to engage with the immediate landscape and planting. 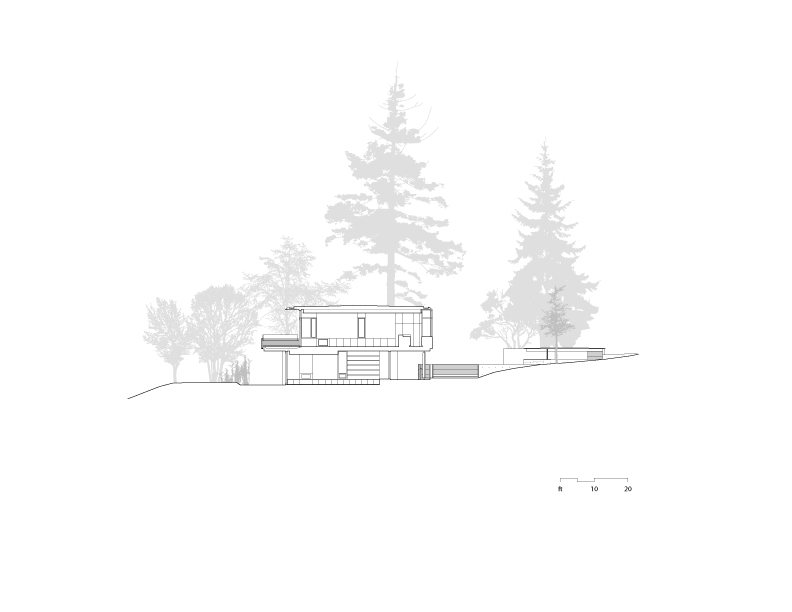 The design seeks to merge landscape and building. 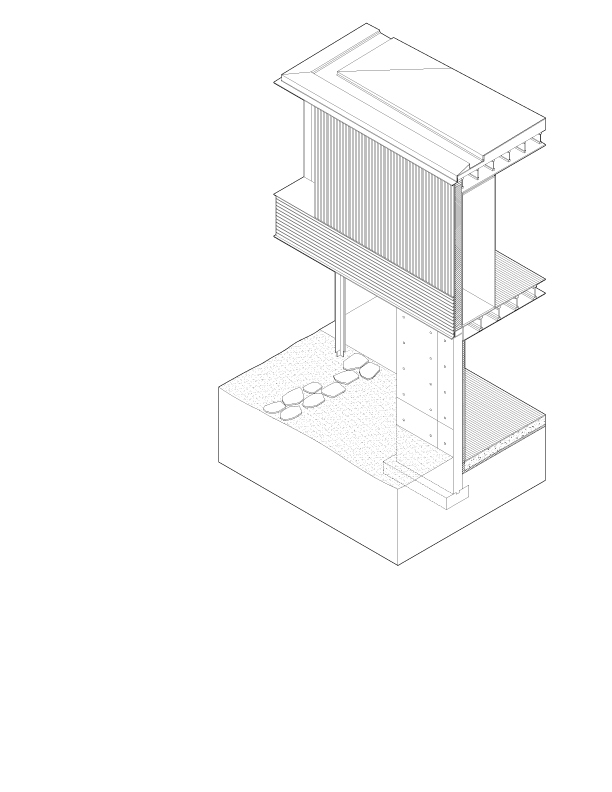 A field of concrete walls at grade frame the landscape, forming outdoor courtyards and providing a foundations for the woodclad upper storey. 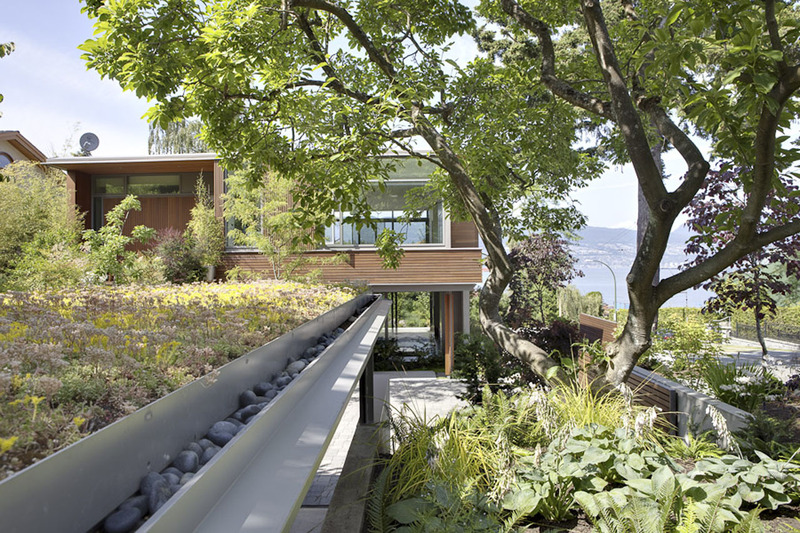 The roof of the carport is an elevated garden linked by an outdoor path to the house. 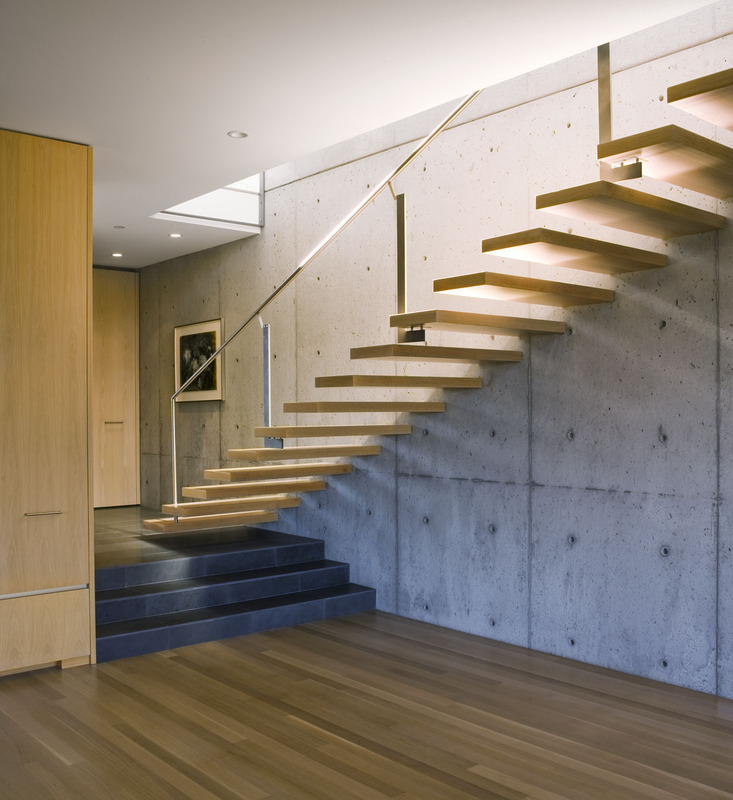 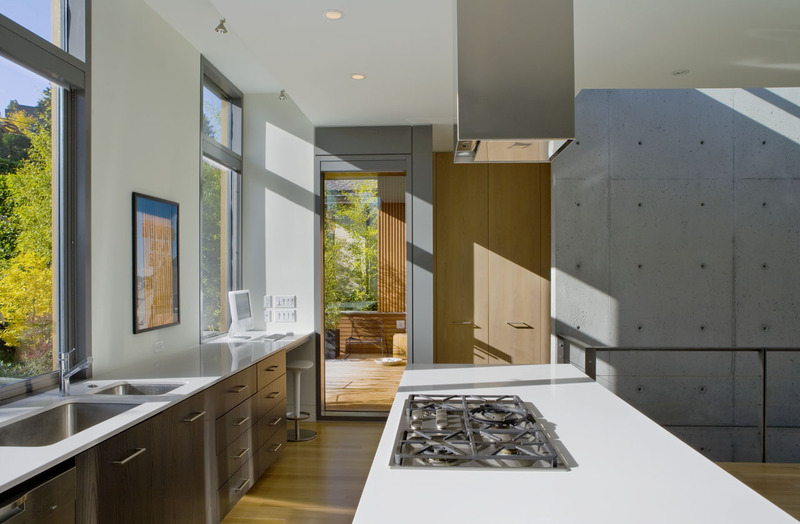 Inside the dwelling, a central concrete wall brings light down the stair hall and into the living spaces. 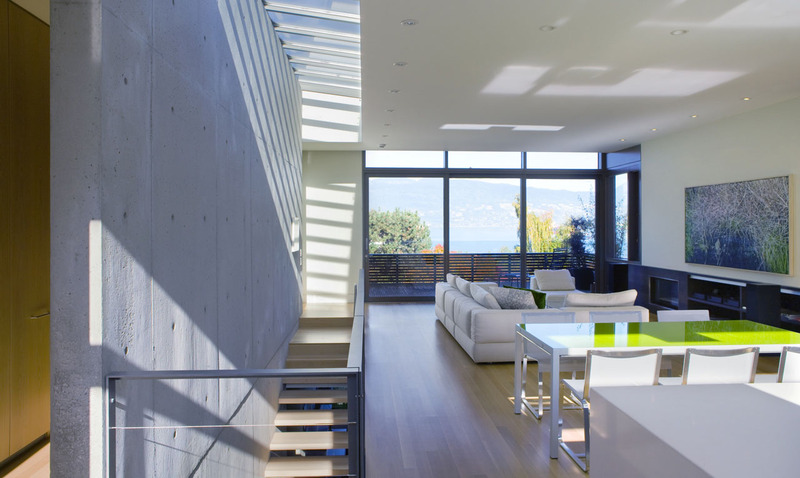 The corners of the building are eroded to blur the boundaries between indoor and outdoor spaces, while windows are strategically placed to offer specific views of the site. 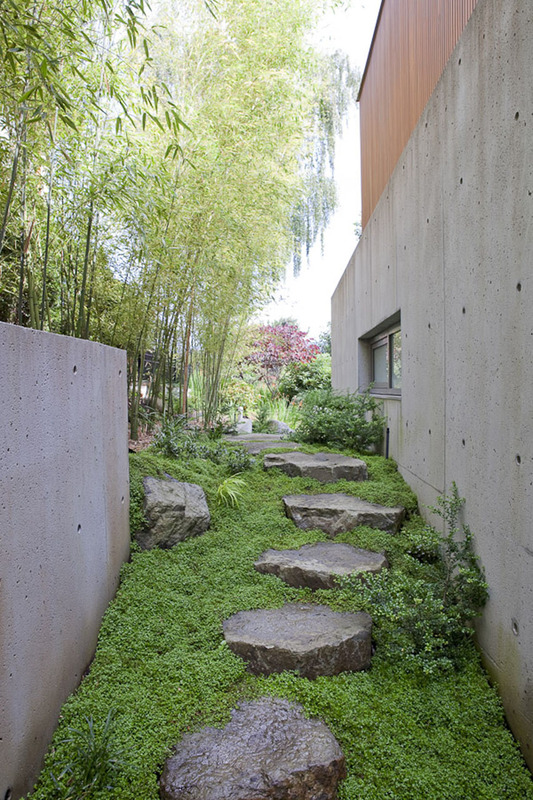 For example, a desk in the office appears contiguous with a dense mat of groundcover, while a high window in the bathroom captures light filtered by an adjacent bamboo hedge.